The consumption of fruit is always highly recommended by nutritionists and doctors especially for individuals that are just recovering from illness because it is a dependable source of vitamins and minerals. It is important to munch on fruits as often as possible and Jovago.com, shares reasons why. The main function that the immune system performs is to protect the body from disease and keep it healthy. If this is weak, then you may be prone to infections. Hence, to shield the body from you have to take fruit which will provide the body with Vitamins C and E which will help combat infections. 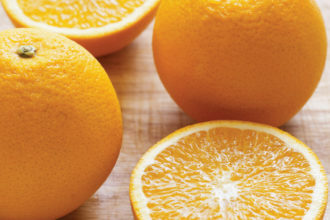 Eating fruit after a meal help improves digestion. However, ensure that you do not eat the fruit immediately after the meal. You should leave at least 30 minutes between when you finished eating and when you consume the fruit. Some of the fruit that serve this purpose include bananas, avocados and apple. The mix of fruit and balance diet can help you develop strong teeth and bones. This is because many fruits contained vitamins C, iron and calcium which are catalyst for developing strong teeth and bones. If you are a weight conscious person, one way to check it is by eating fruit regularly. This achieved when the fruit breaks down carbs and fibres in order to encourage easy digestion. Interestingly, all fruit contain fibre. If you want to protect your eyes against eyesight diseases, then your sure stake is fruit. Some fruit that can aid good vision includes maize, strawberries, carrot, and tomatoes which can be purchased in shops close to the Four Points, Lagos. The consumption of fruit guard against heart disease as well as reducing blood pressure to a very large extent. Take fruits like avocado and almonds to boost your heart resistance.